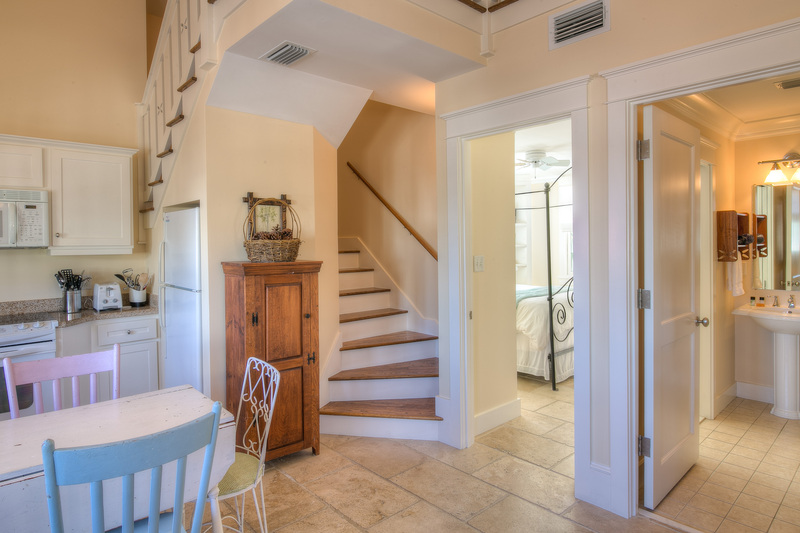 Step into a coastal dream at the LaBarre Carriage House in Rosemary Beach. 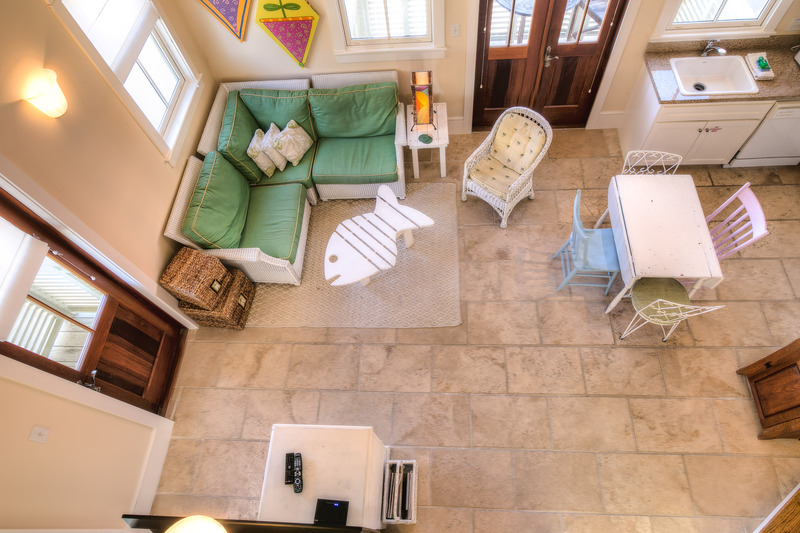 The stone flooring, balcony views and bright colors give it a fun, beach vibe. Not to mention it’s located 3 houses from the gulf! 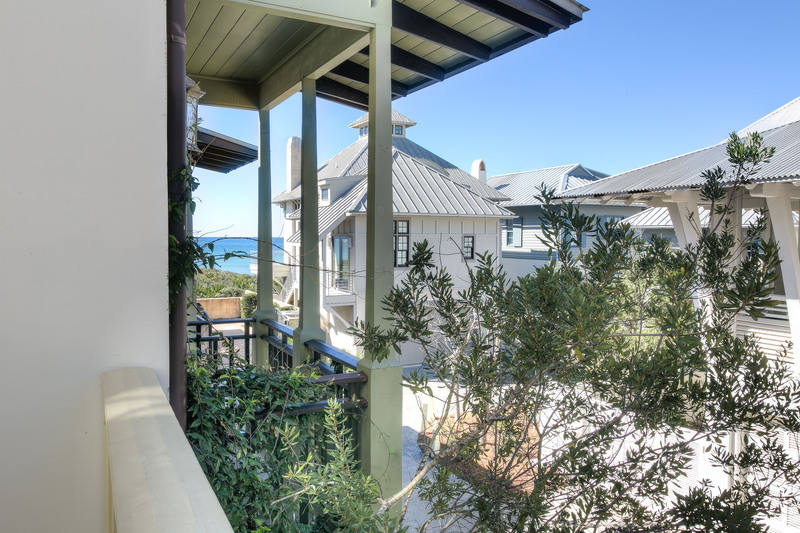 Take in the fresh sea breeze from either of the balconies; one facing New Providence Lane with a slight gulf view, and the other facing Main Street where you can enjoy the shopping and dining of Rosemary Beach. The LaBarre Carriage House is spectacularly located right next to the iconic Western Green, featured in magazines around the world! 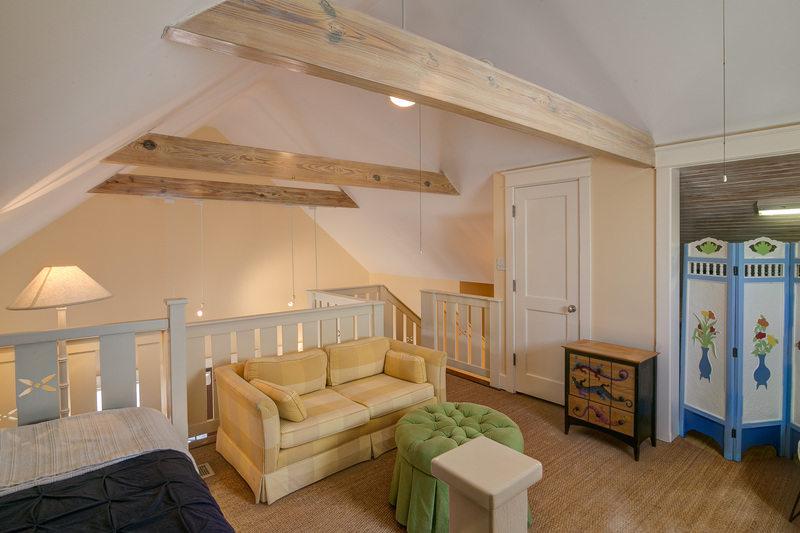 While staying at the LaBarre Carriage House you will enjoy luxuries like a private outdoor shower, private bedroom with (brand new!) QUEEN bed, a fully equipped kitchen with full-size appliances, a loft bedroom with TWIN daybed and small lounge sofa, private washer/dryer located near the front door, and 2 balconies complete with seating for 2 on each! The shared bathroom includes a shower & tub combo with a single vanity. There’s a large flat screen TV in both the living room and bedroom for your entertainment. Complimentary WIFI and cable will be available during your stay. Reserved parking for one vehicle will also be provided, as well as two adult rental bikes. •	Brand New Mattress, headboard and bed frame! Just the what we needed. 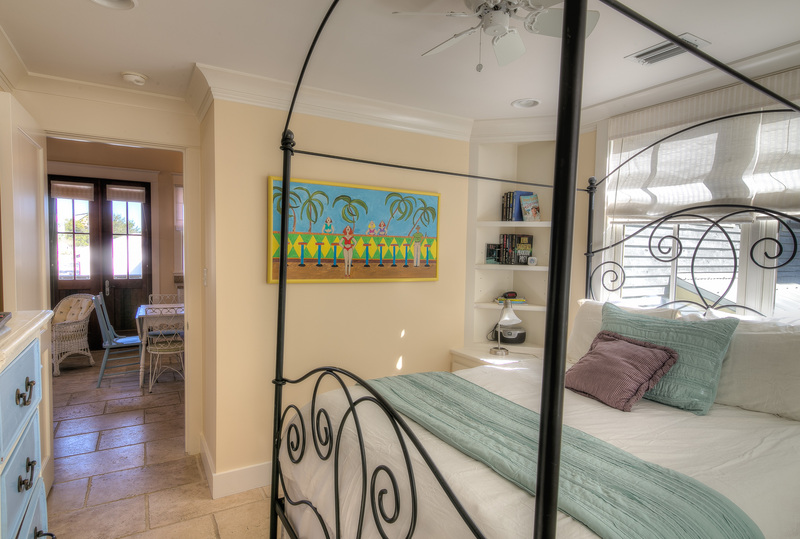 This property was located close to the beach and restaurants, perfect location. We had such a great time at this carriage house and the management company was such a pleasure to work with. They checked in on us during our stay, which was such a pleasant surprise, and we always available to answer questions and immediately address one minor issue we had. We can't wait to come back and will definitely be using them again! Thank you for your excellent feedback! We hope to see you again soon! We loved the carriage house and the location. It was very clean and everyone was so friendly:) would stay here again when we come back to the area. Perfect for Couple or Three Guests! Pescados, George’s, Bud and Ally’s, and others! So many available, and we returned to our little bungalow and enjoyed the balconies! We can’t imagine finding a more perfect place with support anytime needed. Loved staying the La Barre Carriage House. We never had to get in the car. Access to the beach is literally just around every corner from the house. Restaurants, shops are all conveniently located. The house is amazingly very private despite its proximity to the "downtown" area. Loved it! Will definitely stay again. Great place for a couple, particularly a couple with their 4 legged best friend! 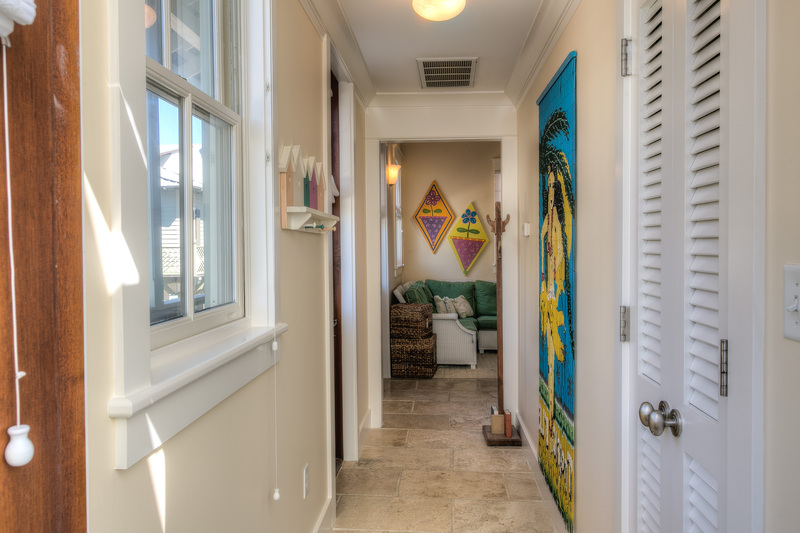 Great location just steps to the beach and local restaurants. 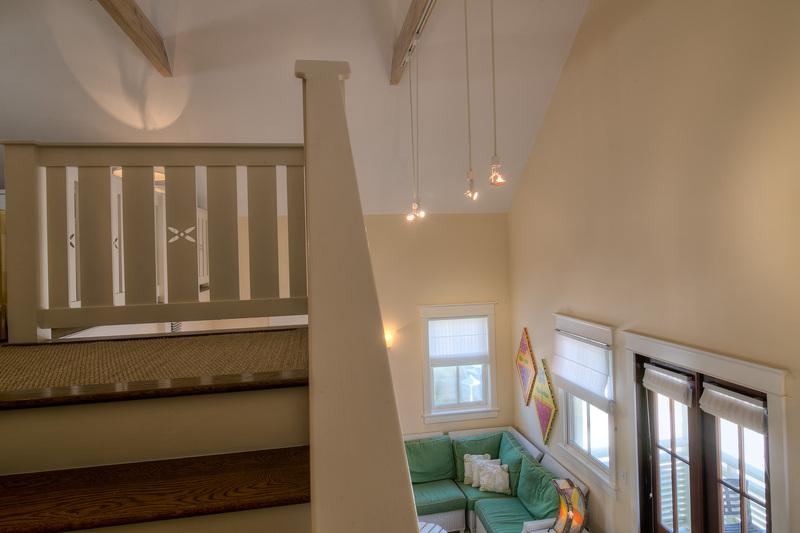 The carriage house was very clean and the property management company was very organized and helpful. This would be our first option for staying and Rosemary Beach in the future. My husband and I were celebrating our 30th anniversary and we had a fabulous stay. The carriage house was perfect for us! It was sooooo close to the beach. And we enjoyed riding the bikes around Rosemary, too. We will be back! What a relaxing place to visit. Friendly town with lots to do. Loved riding bikes everywhere and the beaches were amazing. Would have been nice to inclue a chair/umbrella rental into the price. Food choices were wonderful. Amazing place!! Location of the home was perfect to get anywhere in town. It is a great property for a short stay. Our only issue was the preponderance of stray cats around the property. We had a wonderful weekend at the LaBarre Carriage House! The location was perfectl for dining, beaching, and bike riding. 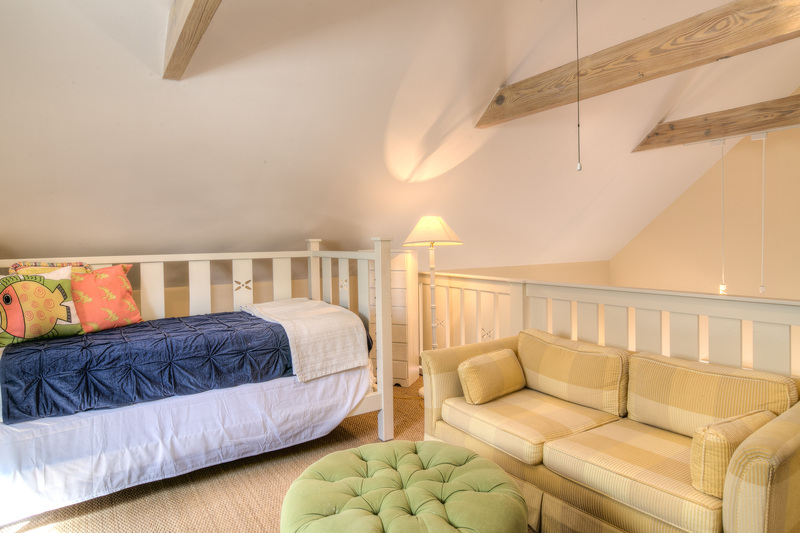 Thank you for the amazing review of LaBarre Carriage House. 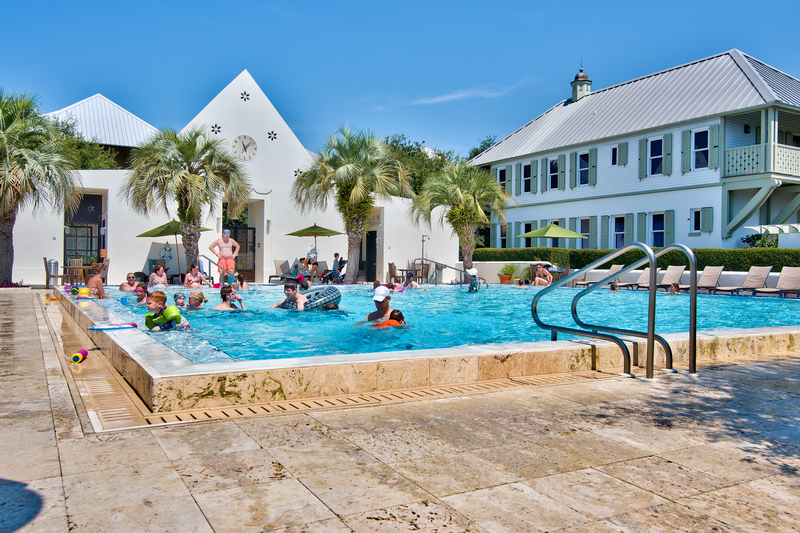 We appreciate your praise and loyalty to 30A Luxury Vacations. Please come back and see us again soon! My wife and I had an excellent stay @ the LeBarre Carriage House. 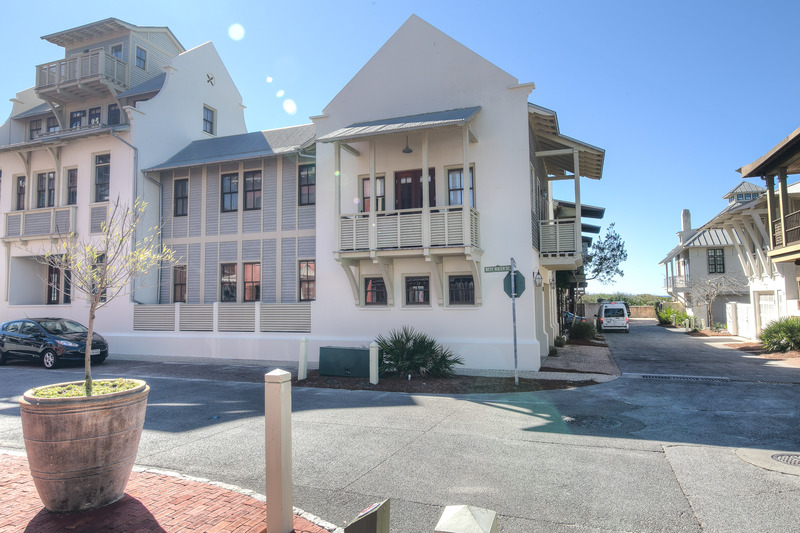 It is in an exceptional location (very convenient to the beaches and the shops/restaurants in Rosemary), very comfortable and the property management company was very responsive to us. I would highly recommend this property! We had a wonderful stay and will return! Thank you for recommending us to other travelers! 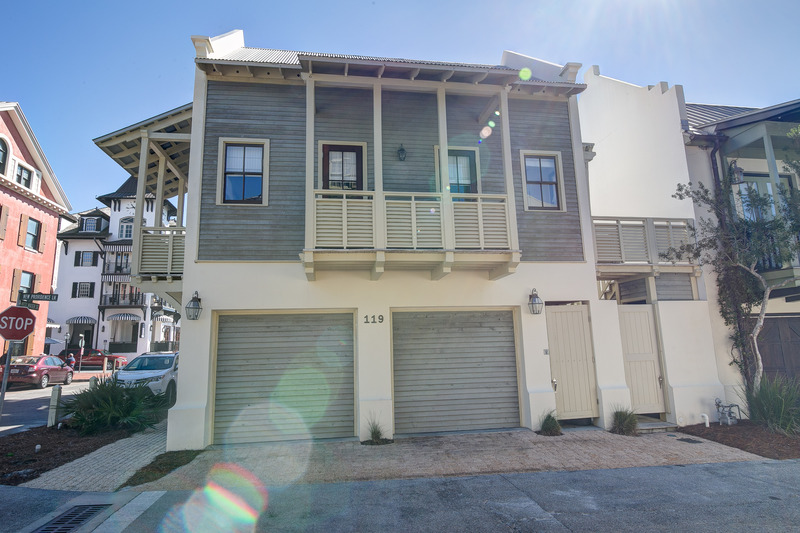 This quaint carriage house is steps away from the sugar sands of the Gulf or short bike ride to the town square. We are delighted you and your wife had an extraordinary stay. Please come back and see us again! This is the perfect place for a family with small children/child. Every year we stay in different places along 30 A to find that perfect location around making everything convienent for everyones needs, well this was the place. The only problem that we had with the place is that if you are a light sleeper forget about sleeping on the bed. The mattress is in terrible need of replacement. Also, if you need a tv to fall asleep to at night, the one in the bedroom has a horrible connection to wifi and no cable connection. Thank you so much for staying with us and I am terribly sorry about the mattress. 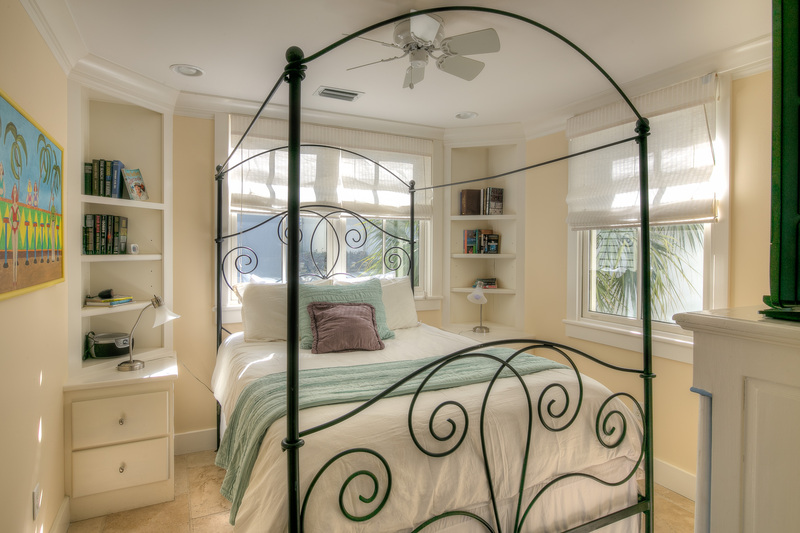 We would love to accommodate you here again as it does have a very comfortable, brand new mattress. We also added a high-end wireless repeater that greatly strengthened the WiFi signal. Many times the connections can go bad due to the weather down here, but if you notify us of the issue someone from our maintenance team will immediately be there to help out. We greatly appreciate your feedback, and thank you again for staying with us. We look forward to accommodating you again and please let us know if we can be of any assistance in the future! Right across from the Pearl and the Green. Easy to walk to the beach (2 min) and restaurants (2 min) and shopping (2 min). As mentioned before, bed is creaky, but location is worth it. Thank you very much for staying with us! We are glad that you enjoyed your stay in the LaBarre Carriage House! I'm very sorry if the bed frame was too much of a disturbance and it will definitely be looked at by our maintenance team. Please let us know if we can be of any assistance in the future and we look forward to accommodating you again! I don't think we could have picked a colder week at the beach. But regardless of the temperature the sun was shining and we made the most of it. The Carriage House was small but nice. I agree with other reviewers that the bed frame creaks each time you turn. The Wi Fi is pretty undependable as was the phone reception inside. My husband had to take care of some work things and it was kind of frustrating. 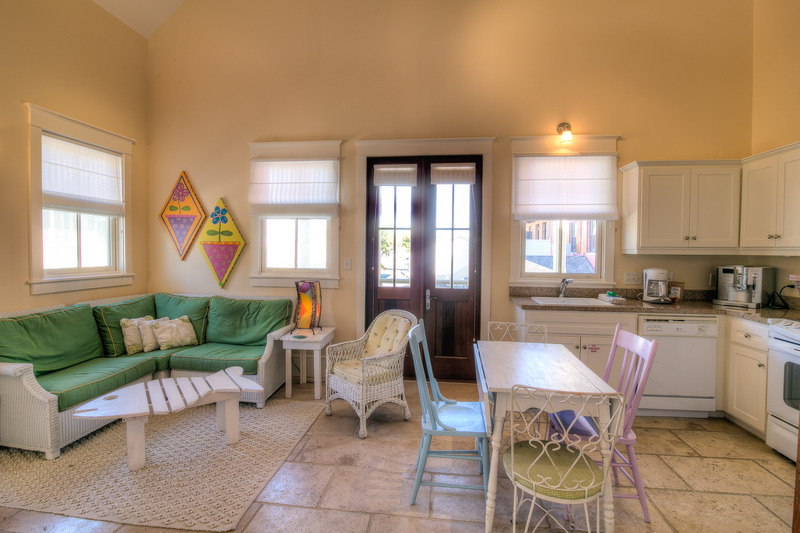 The location of this carriage house is great...close to the beach, restaurants and all the activities in Rosemary Beach. We enjoyed our time away! We very much appreciate your business, and your feedback. I'm very sorry for any inconvenience the WiFi may have caused while you were staying with us. We recently installed a brand new, high-end repeater for the carriage house that has significantly improved the WiFi signal. I'm glad to hear that you still were able to enjoy your time at the LaBarre Carriage House and we look forward to accommodating you again in the future! Our family spent a long weekend here in February and it was just what we needed. The weather was great and the area was easy to explore given we were there during the off-season. The house had prime location to the beach, restaurants, and shops. We loved that it was dog friendly so we could take our pup with us too. Minor complaints: the dryer was a bit dirty, no garage door opener, stairs to get to the house (we had our 3-month old and 2-yr old with us so lots of stuff to carry). Otherwise, it was perfect in meeting our family's needs and we hope to come back again! We very much appreciate your business, and your feedback. 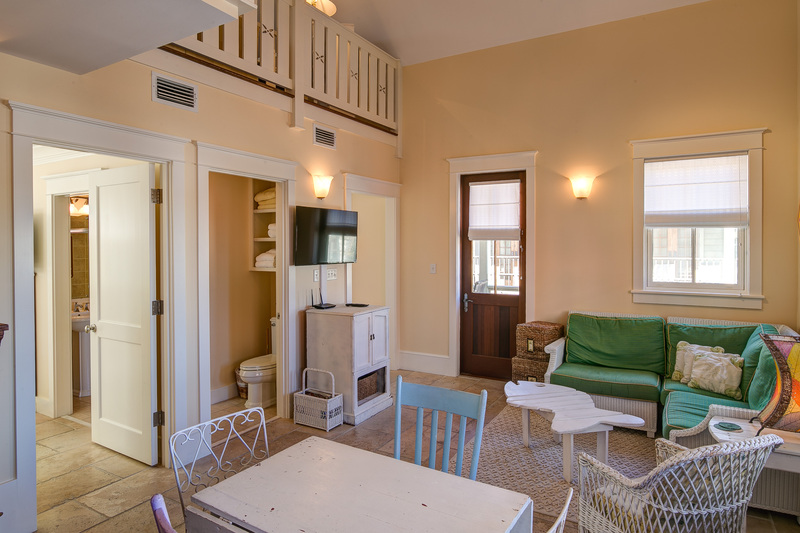 We are happy that you enjoyed your stay in the LaBarre Carriage House! I hope those things were not to much of an inconvenience for you and I'm very sorry about the dryer. Please do not hesitate to let us know such things and we would be happy to have someone over there immediately to make it right! Thank you for staying with us and we hope to accommodate you again in the future! My wife and I rented this carriage house to come stay for a friend's wedding. Little did we know, the carriage house was literally 75 feet from where the wedding was being held- on the green space. We didn't find that out until we arrived and were looking on the map, so we were pretty happy about that. 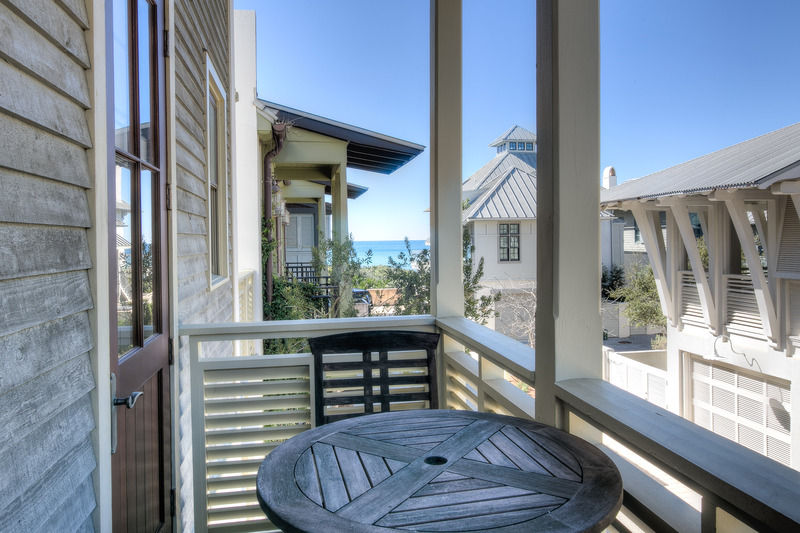 This was our first time in Rosemary Beach and we loved it from the second we arrived. We were walking distance from some of the best shops and restaurants in town (La Crema, Cowgirl Kitchen, The Pearl, Wild Olive- to name some of our favorites). The carriage house was perfect. We were able to bring our golden retriever, Bronson (he loved it as much as we did)! We cannot say enough good things about the space and location. We had the pleasure of meeting the owners who were so accommodating, making sure our stay was everything and more. Our carriage house came with cruiser bikes that we took all over town. That was a nice bonus since we initially thought we would have to rent them. We were able to get to all of the surrounding areas either on foot or on our cruiser bikes, that's what made the weekend so unique. There were so many places to see and activities for all ages. 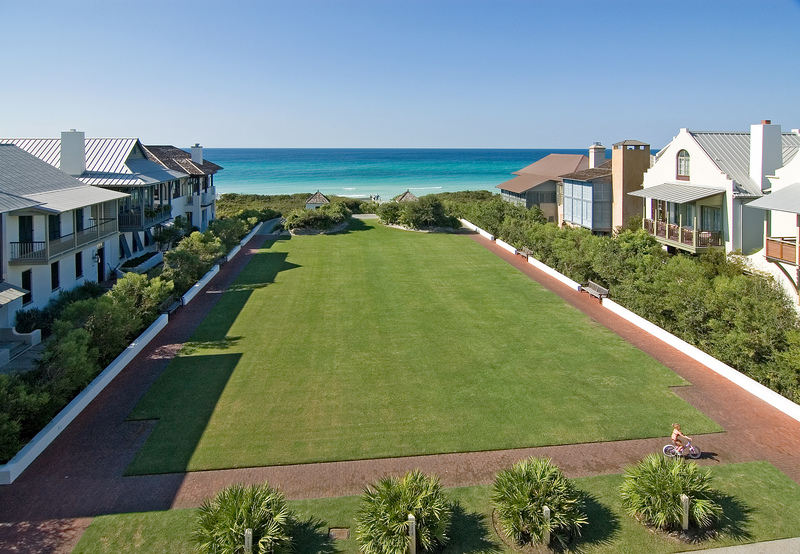 We can't wait to go back and visit Rosemary Beach 30A. Thank you for such an amazing weekend! Thank you so much for stay with us, and we are glad you enjoyed the LaBarre Carriage House! Very convenient that the wedding was unknowingly right outside your door, hopefully it made your stay all the better! We hope to accommodate you, and of course Bronson, again in the future! 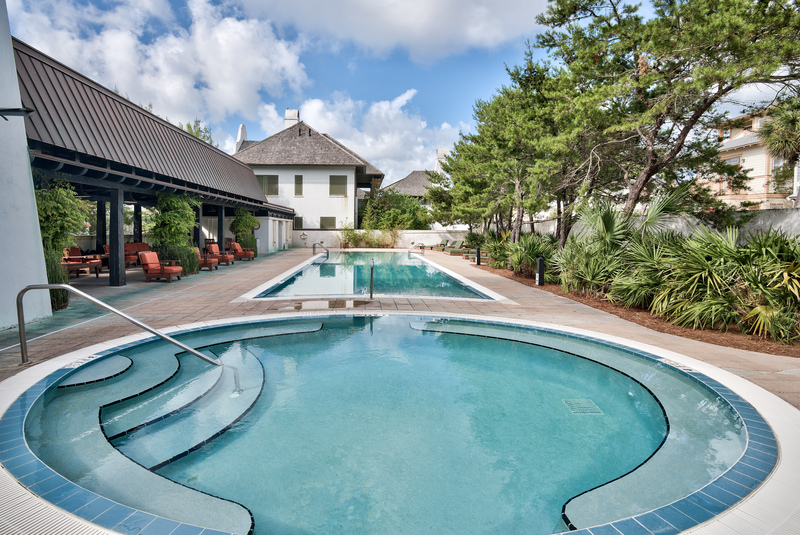 This place is the best location in Rosemary Beach. It's super close to the beach and after a long day you can sit on your balcony and watch the happenings in the center of town. It's has very comfortable accommodations and this is our second time staying here and will be back. We very much appreciate your continued business, and hope you had a great mother/daughter weekend staying at the LaBarre Carriage House! We look forward to accommodating you again in the future, and please don't hesitate to let us know if we can be of any assistance until then! We had a great time at the LaBarre Carriage house! 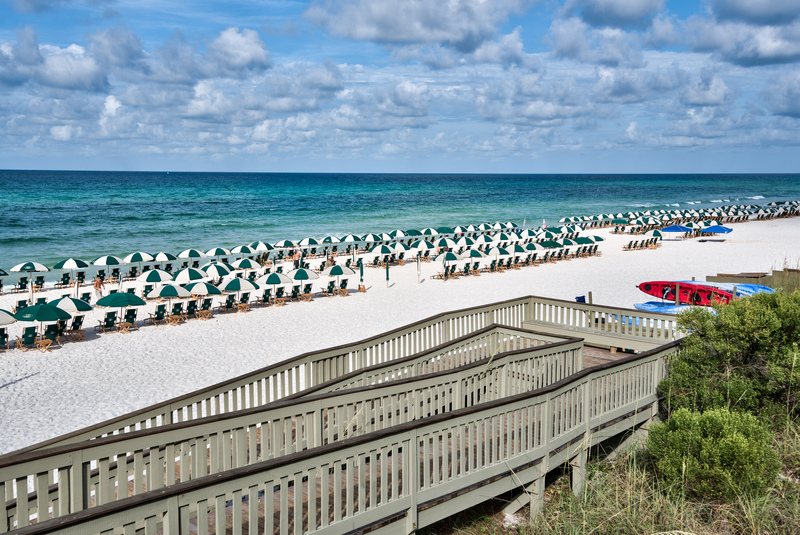 Our 4 night stay couldn't have been better, and we greatly enjoyed our time in Rosemary Beach. Thank you so much for staying with us! We are glad that you enjoyed your stay in the LaBarre Carriage House and look forward to accommodating you again! Please let us know if we can be of any assistance in the future! Beautiful inside and out. Wonderful experience and so close to beach, dining and entertainment. Cannot say enough great things. Decorations beautiful and unit was perfectly layer out and functioned very well. We had a lot of fun and made a lot of memories. 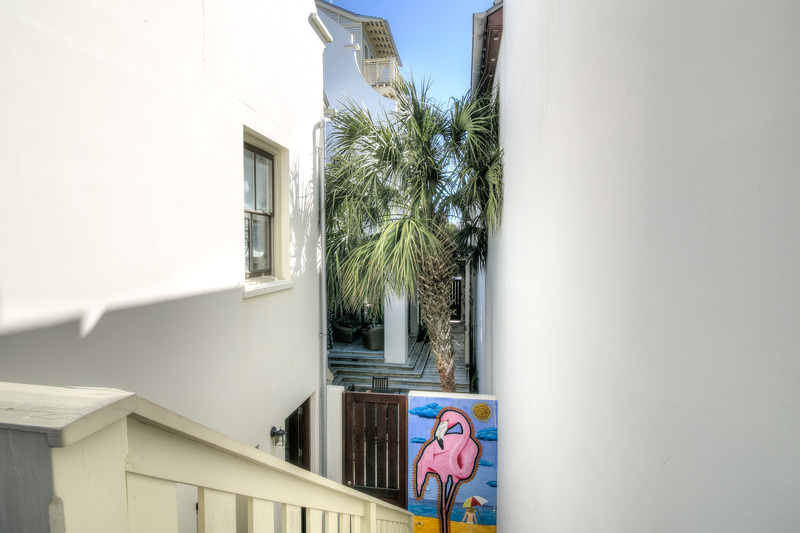 This property was situated in arguably the best location in Rosemary. Walking distance to everything you need! Enjoyed my few days there and will make another trip back soon! It was nice to find a place so close to the beach that allowed a stay shorter than 7 days. Bedroom needs blackout shades and the couch needs to be updated. Great location, average décor. We had great time. The location is very convenient to stores and restaurants. They provided bikes which was nice to ride around the town. The house was clean, updated and beachy. Great location in heart of Rosemary. All necessary amenities avaiable. Really like the app that provides everything you would ever need to know. This is first time I've rented with 30A Luxury Props so that took some getting used at first to but it was very convenient and all rental companies should use an equivalent. 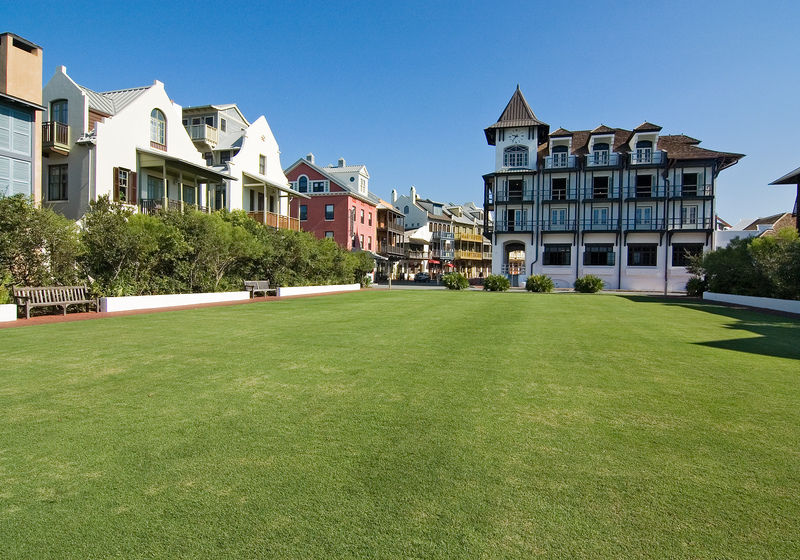 Rosemary Beach is truly a special place. Great location to beach and restaurants. Beth and Chris from 30 A Luxury incredibly responsive. We stayed the month of February and part of March and could not have asked for more. Full kitchen and views from balconies. 20 ft. ceilings gave feeling of even more space. Owners Pete and Melinda a delight to speak with. Walk to beach and sunset in a few minutes. Unfortunately the property was not exactly as advertised. Only one of the listed TVs was in working condition and the espresso/coffee machine was not in working order. For the price I would have expected to have been able to brew a cup of coffee in the morning. The furniture was a bit small but since there were only two of us, it worked. 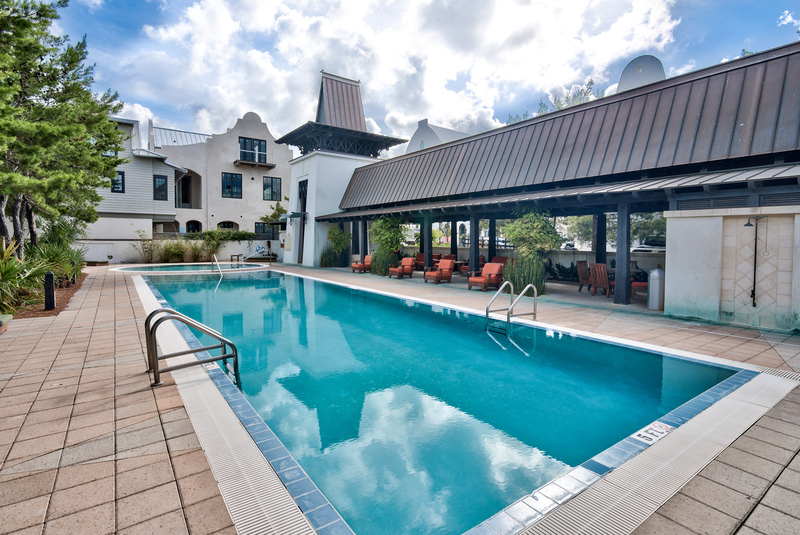 However, the place was clean and well kept, and the location was terrific - right on Main Street and very close to beach! 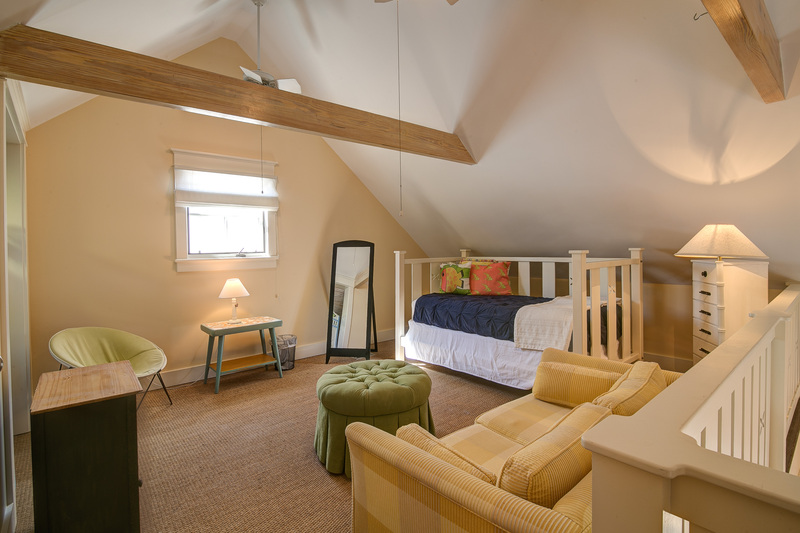 LaBarre Carriage House was a great experience. The place was very clean and super cute. It is also the BEST location you could imagine. We did not drive one time! Also the management company was really nice and easy to deal with. I would 100% stay here again. Best part about this carriage house is the location. Very close to beach and Main Street. The unit just needs a major update. The furniture in the kitchen/den area is very worn out and not attractive. The one bathroom could use a make over too. Lots of great balconies though! We had a wonderfully relaxing stay at LaBarre. Perfect location with a comfortable interior. Will definitely stay with you again. Very attentive, helpful rental company. We very much appreciate your business and are glad that you enjoyed your stay in the LaBarre Carriage House. We look forward to your next stay with us, and please let us know if we can be of any assistance until we see you again! This carriage house is in a great location. Close to town and beach! Nice to have washer and dryer! Clean and well maintained! Manager always available and provided the best customer service! Allowed us early check in.. I would highly recommend staying here, close to great restraints and of course the beach. Only "complaint" is the extremely squeaky bed. Can't get in bed or roll over without waking everybody. overall good location and stay was good. The owners were very friendly as well. the Bed frame needs to be replaced (very squeaky), and the couch could us an update also. Thank you very much for staying with us and we appreciate the feedback! We are glad that you enjoyed your stay in the LaBarre Carriage House! We recently have replaced the bed with a very comfortable, brand new mattress. Please let us know if we can be of any assistance in the future and we look forward to accommodating you again!